To keep your tax burden low, you need an accountant that’s on the job twelve months out of the year, not just before the tax deadline. At Jill H. Boag, CPA, we build a strong relationship with our clients by working year round to help them prepare for tax season. We constantly watch for changes to the tax regulations and develop new techniques to limit tax liabilities for both individuals and small businesses. 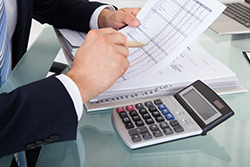 Our experienced Newport Beach, CA CPA firm can save you real money on your taxes through comprehensive tax planning. To learn more, call 714-964-3770 now or request your free initial consultation online.